FEEL GOOD ON THE INSIDE – LOOK GOOD ON THE OUTSIDE. 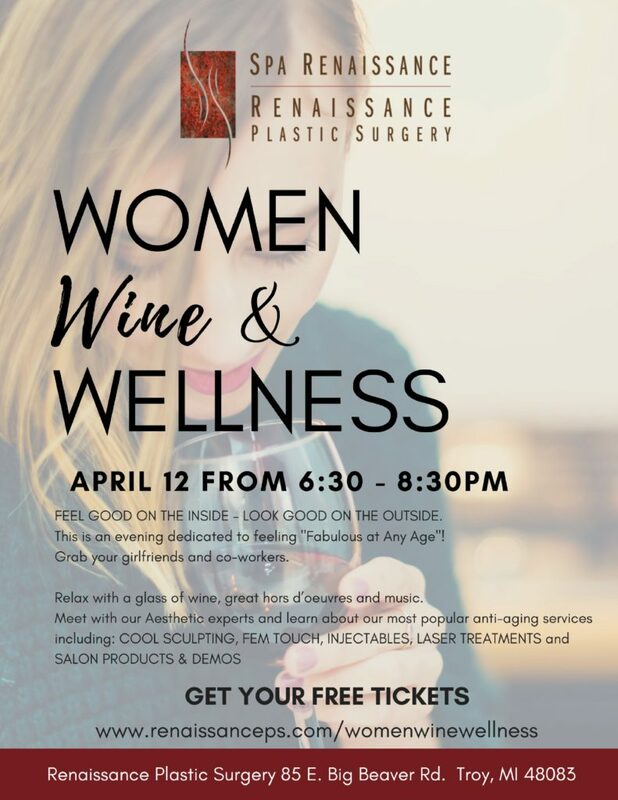 This is an evening dedicated to feeling “Fabulous at Any Age”! Grab your girlfriends and co-workers. Relax with a glass of wine, great hors d’oeuvres and music. Get $200 Coupon towards CoolSculpting if you RSVP in advance! Also $50 savings on Botox for new Brilliant Distinctions enrollees and Exclusive one-night pricing for Fem Touch packages!